Did Anti-Fast Track Senators Miss an Opportunity to Slow Down TPP? THOMAS HEDGES, TRNN: Last night, President Obama used a portion of his 2016 State of the Union address to lobby for the Transpacific Partnership agreement or TPP, which is slated to be passed this spring in Washington. PRESIDENT BARACK OBAMA: It cuts 18,000 taxes on products made in America, which will then support more good jobs here in America. 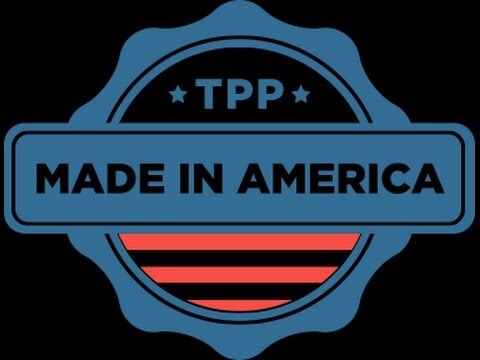 With TPP, China does not set the rules in that region, we do. You want to show our strength in this new century? Approve this agreement. Give us the tools to enforce it. HEDGES: But critics of the TPP say the United States-China contention is a red herring. Instead, the TPP represents a huge victory for multinational corporations that have devised a complicated system where they can sue foreign governments for interfering with their profits. MELINDA ST. LOUIS: Even though the treaty is negotiating between governments, it’s a private corporation that can then try to enforce this treaty, outside of the courts in private tribunals. HEDGES: Melinda St. Louis is part of Public Citizen’s Global Trade Watch, and says that the TPP’s accountability system under what’s called Investor State Dispute Settlement or ISDS heavily favors corporations by allowing them to sue governments if they pass laws that threaten a company’s profit margin. ST. LOUIS: They’re made up of three private lawyers who determine whether the extreme investor rights that have been included in the treaty have been violated. And then that tribunal of three private lawyers, who are not bound by precedent, who are not bound by typical conflict of interest rules that you would expect for judges, they decide whether they will award damages to the corporation, which is taxpayer money from the governments. And it has been in the order of millions or even billions of dollars in taxpayer damages, compensation, to corporations. And the violations of the rights that they are claiming are our laws, our judicial decisions, our administrative acts. HEDGES: Proponents of the TPP say it’s the most progressive deal in history because it protects labor and environment. But deep inside the rabbit hole are another set of rules called Most Favored Nation rules or MFN rules, which allow multinationals to circumvent almost any regulation from existing trade deals, including the quote-on-quote “most progressive” ones from the TPP. ST. LOUIS: And what that means is that a government has to provide the same treatment to an investor from, from a TPP country as they provide to any other country in any other treaty that they have. And so through that mechanism it’s actually possible for investors to sue through one treaty, but say we actually want the protections that were included in a third treaty that we’re not even, that our government isn’t even a part of. HEDGES: ISDS and MFN rules are bolstered by the fact that they are privileges only corporations can enjoy. ST. LOUIS: It is only corporations that can bring cases. Governments can’t bring cases. They can–they are defendants. But a government cannot challenge a corporation. HEDGES: As if the balance couldn’t be tipped any more, corporations increase their odds of winning lawsuits by engaging in a practice called “stacking”. ST. LOUIS: What corporations will do when they launch an investor state case is they’ll stack, and they’ll basically say we, the violations of our rights, have been indirect expropriation, minimum standard of treatment, you know, proportionality–they’ll basically list all of the standards that are in the treaty hoping that at least one of them sticks. That, in fact, has happened a lot. In fact, the minimum standard of treatment is the standard by which most investors have received awards and kind of positive outcomes for the investor, because it is so broad and can be interpreted so broadly. HEDGES: Put all those privileges together and you get a judicial system that allows for some absurd lawsuits that are completely legal. Take the case of Phillip Morris and Australia for example. ST. LOUIS: Phillip Morris International, which is a U.S. tobacco company, decided to incorporate its Australian holdings into its Hong Kong subsidiary because Australia and Hong Kong had a bilateral investment treaty that had investor state dispute settlement, or ISDS. The treaty that the United States had with Australia did not have ISDS in it. So they incorporated, their subsidiary took the Australia holdings from Hong Kong, and then launched their investor state dispute settlement through the Hong Kong-Australia bilateral investment treaty. Phillip Morris International then incorporated as a Swiss subsidiary to sue the government of Uruguay, because there was a Switzerland-Uruguay bilateral investment treaty that they wanted to, that they wanted to use to be able to sue Uruguay because Uruguay, like Australia, had instituted tobacco control legislation that was meant for public health purposes. HEDGES: Last month, Phillip Morris lost the case in Australia, but St. Louis says that even when corporations lose, they win. ST. LOUIS: Because just the mere threat of these types of cases can for, especially for a small country, can mean millions of dollars just in legal fees, and so it will make them think twice about enacting a policy that a corporation doesn’t like. HEDGES: The 12 member countries of the Trans-Pacific Partnership already have a total of 35 investment treaties between themselves. But if the TPP goes through, that number could close to double the number of options multinationals have to sue foreign governments. The United States hasn’t dished out any money to multinationals from ISDS disputes. But that could change very quickly. Last week, the Canadian energy company TransCanada announced it was suing the United States using the North American Free Trade Agreement over the Keystone XL pipeline rejection. ST. LOUIS: TPP does expand the liability and the danger much more than we had before, because not only does it increase the number of treaties that companies can use, but it’s he first time that the United States has had this type of mechanism in a treaty with multiple developed countries. Before, the only developed country we had ISDS with was Canada, under the North America Free Trade Agreement, or NAFTA. And so there weren’t that many Salvadoran or Peruvian companies in the United States that could launch these cases. Well, with TPP, now there are Japanese companies, Australian companies, who will be newly empowered to be able to use this mechanism in the United States.